In last month's edition, I reported closing my position in Anheuser-Busch InBev (BUD) due to performance issues and the stocks Unsafe dividend safety score. I also mentioned that I'm planning to trim my position in Omega Healthcare Investors (OHI) in November after securing OHI's next dividend payment. 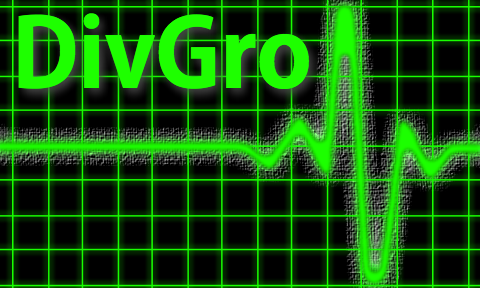 The stock's dividend represents about 6% of DivGro's yield, which I consider unhealthy for a stock whose dividend is deemed Unsafe by Simply Safe Dividends. I also reported adding several high-quality dividend growth stocks, including Home Depot (HD), Honeywell (HON), Union Pacific (UNP), and Visa (V)—all high-quality dividend growth stocks with Very Safe dividend scores. Additionally, I added Simon Property Group (SPG), a high-quality retail REIT (real estate investment trust) that yields about 4.5%. According to Simply Safe Dividends, SPG's dividend safety score is Safe. Before sharing the additions to my portfolio, let's review some stats and charts. Recently, I debuted my new ranking system. It is still in development, but I tested it out on stocks in the Utilities sector. In the coming months, I'll be refining the ranking system and rank stocks in other sectors. Until my work on the new ranking system is complete, I won't be ranking the dividend growth stocks in my portfolio like I normally do in Pulse articles. The majority of dividend growth stocks in my portfolio have Very Safe and Safe dividend safety scores (the green bars). I have two Borderline Safe stocks (the gray bars) and two Unsafe stocks (the red bars). Kite Realty Group (KRG) is a recent addition to DivGro, mainly for its 8.18% yield. The position is relatively small at 1.02% of portfolio weight and 2.57% of portfolio yield. In comparison, OHI, which yields 8.02%, represents 2.41% of portfolio weight and 5.95% of portfolio yield. I think it is reasonable to accommodate a few high-yielding stocks such as KRG and OHI, but I don't want to be too reliant on these somewhat riskier positions. For that reason, I'll be trimming my OHI position in November after securing the next dividend payment. Stocks that contribute more than 4% of DivGro's annual yield need extra scrutiny, especially if they have lower dividend safety scores. I already mentioned OHI. MAIN's dividend is considered to be Safe, but AT&T (T) has a Borderline Safe dividend safety score, so I should probably trim my position to below 4% of portfolio yield. Last month, 21 dividend growth stocks traded at a discount to fair value, versus 48 stocks this month. October's market correction is giving us lots of opportunities to buy dividend growth stocks at discounts to fair value! I like to look at the relative size of positions in my portfolio because stocks that are underweight are good candidates for further investment. While I prefer to see a more balanced portfolio, I sell covered calls on select dividend growth stocks. To do so, I need to own 100 shares or multiples of 100 shares, so several positions are larger than those not involved in covered call trading. I consider positions with weights less than 1% as underweight positions and therefore good candidates for further investment. In the chart above, the underweight positions are shaded light green. One way to assess a stock's recent performance is to plot the current price relative to its 52-week trading range. I color stocks trading below the 50% level orange. These are stocks with poor recent performance. Interestingly, three REITs are trading at or near their 52-week highs: Realty Income (O), National Retail Properties (NNN), and OHI. In contrast, International Business Machines (IBM), AT&T (T), and AbbVie (ABBV) are trading near their respective 52-week lows. My current position in Lockheed Martin (LMT) is small at 0.58% of portfolio weight and 0.56% of portfolio yield. LMT's dividend safety score is 78, which is deemed Safe. The stock trades only about 7% above the 52-year low and about 16% below my fair value estimate. The stock yields 3.07% and has a 5-year DGR (dividend growth rate) of 12.4%. Raytheon (RTN) is discounted by about 11% and my current position is small at 0.59% of portfolio weight and 0.38% of portfolio yield. RTN's dividend safety score is 97, which is deemed Very Safe. The stock trades only about 7% above its 52-year low. RTN yields 3.07% and has a 5-year DGR of 12.4%. IBM trades at a discount of about 22%. My position is small at 0.51% of portfolio weight and 0.85% of portfolio value. IBM's dividend safety score of 92 is deemed Very Safe by Simply Safe Dividends. After disappointing earnings, IBM's stock price dropped to multi-year lows, now yielding 5.25% at $119.64. The 5-year DGR is 12.3%. My position in OHI represents a portfolio weight of 2.42% and a portfolio yield 5.95%. I consider this too risky for a stock with a dividend safety score of 40 (Unsafe). And with OHI trading less than 5% from it's 52-week high, I think it is a great time to trim my position. I'll do so as soon as I secure OHI's next dividend. Based on a recent press release, OHI will pay a dividend of 66¢ per share on 15 November to shareholders of record as of the close of business on 31 October. So I should be able to trim my position on 1 November (or thereafter). Since my last Pulse article, I opened new positions in several high-quality dividend growth stocks and REITs. The market pullback in October has provided lots of great opportunities! Digital Realty Trust (DLR) is a REIT that owns, acquires, develops, and operates data centers. The company provides data center and colocation solutions to domestic and international tenants, including companies providing financial and information technology services. The company was founded in 2004 and is headquartered in San Francisco. DLR has a dividend safety score of 95 (Very Safe) and trades at about fair value compared with its normal P/AFFO (ratio of price to adjusted funds from operations). Furthermore, DLR's current yield of 3.89% is about in line with its 5-year average yield of 3.96%. The 5-year DGR is modest at 5%, but with a payout ratio of 65% of AFFO and an AFFO growth rate of 9.1% over the past 8 years, there's plenty of room for inflation-beating dividend growth. My investment in DLR is relatively small at 0.67% of portfolio weight and 0.82% of portfolio yield, leaving room to add shares should the share price decline further. My DLR position adds about $182 to DivGro's projected annual dividend income (PADI). Founded in 1997 and based in Kansas City, Missouri, EPR Properties (EPR) is a specialty REIT that invests in properties in the United States and Canada. EPR owns or invests in megaplex theaters, entertainment retail centers, family entertainment centers; public charter schools and K-12 private schools; and ski parks, resorts, waterparks, and golf entertainment complexes. EPR yields 6.23%, which is just above its 5-year average yield of 6.15%. Based on an F.A.S.T. Graphs analysis, EPRs current P/AFFO is 11.5, which is below its normal P/AFFO of 13.4 established over an 8-year period. From these observations, EPR seems to be trading at a discount to fair value. 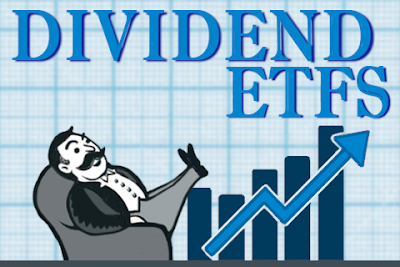 Given a dividend safety score of 61, EPR's dividend is deemed Safe by Simply Safe Dividends. Over the past year, EPR has paid out 72% of its AFFO as dividends. The AFFO growth rate is modest at 5.6% (over 8 years), as is EPR's 5-year DGR of 6.7%. My investment is 0.5% of portfolio weight and 0.97% of portfolio yield and will add $216 to DivGro's PADI. Extra Space Storage (EXR) is a fully integrated and self-managed REIT based in Salt Lake City, Utah. The company has been involved in the self-storage industry since its inception. It owns and/or operates over 1,300 self-storage properties in the United States and Puerto Rico. EXR was founded in 1977. With a dividend safety score of 68, EXR's dividend is deemed Safe by Simply Safe Dividends. In the past year, EXR has paid out 71% of AFFO as a dividend. EXR current yield of 3.78% is above its 5-year average yield of 3.55%, suggesting it is trading at a discount to fair value. While EXR's 5-year DGR of 32% is spectacular, the most recent increase was more modest (and sustainable) at 10%. AFFO has been growing at a rate of 21% over the past 8 years. My new EXR position will add about $189 to DivGro's PADI. The position is relatively small at 0.72% of portfolio weight and 0.85% of portfolio yield. Federal Realty Investment Trust (FRT) owns, manages, develops, and redevelops retail and mixed-use properties. These properties are located primarily in affluent communities in select metropolitan markets in the Northeast and Mid-Atlantic regions of the USA and in California and South Florida. FRT was founded in 1962 and is headquartered in Rockville, Maryland. My investment in FRT is relatively small at 0.73% of portfolio weight and 0.74% of portfolio yield, and will increase DivGro's PADI by about $163. The REIT yields 3.21% while its 5-year average dividend yield is only 2.78%. This indicates that the stock is trading well below fair value. FRT's dividend is considered Very Safe with a dividend safety score of 83. Having paid out 66% of AFFO in the past year, the payout ratio appears to be quite safe. AFFO is growing at a modest rate of 5.9% (calculated over 8 years), somewhat slower than the 5-year DGR of 7.1%. Indeed, the latest dividend increase was only 2%. Founded in 1971 and based in Glendale, California, Public Storage (PSA) is an equity REIT involved in the acquisition, development, ownership, and operation of self-storage facilities. PSA’s self-storage facilities offer storage space for lease on a month-to-month basis for both personal and business use. The company also has interests in commercial properties containing commercial and industrial rental space and ancillary operations. PSA's yield of 3.85% is well above its 5-year average of 3.42%, so I think is a good time to invest. My opening position is relatively small at 0.75% of portfolio weight and 0.90% of portfolio yield. The position adds $200 to DivGro's PADI. According to Simply Safe Dividends, PSA's dividend is Very Safe with a dividend safety score of 92. PSA's payout ratio is 82%, which is somewhat high for REITs. The 5-year DGR of about 13% exceeds the AFFO growth rate (over 8 years) of 7.9%. It looks like PSA will not be increasing its dividend this year and, consequently, it will be removed from the CCC list. The last dividend increase was in October 2016. Tanger Factory Outlet Centers (SKT) is a publicly-traded REIT headquartered in Greensboro, North Carolina. The company focuses on developing, acquiring, owning, operating, and managing outlet shopping centers. It has outlet shopping centers located in 21 states and in Canada. SKT was founded in 1981 and is based in Greensboro, North Carolina. SKT's dividend safety score is 72, meaning the dividend is deemed Safe. Having paid out 76% of AFFO as dividends over the past year, SKT's payout ratio seems reasonably safe. The 5-year DGR is 10.3%, whereas AFFO has be growing modestly at about 6.1% (over 8 years). SKT's latest dividend increase was very modest at only 2.19%. My SKT position represents only 0.66% of portfolio weight but delivers 1.26% of portfolio yield, thanks to SKT's hefty 6.1% yield. SKT will add $280 to DivGro's PADI. SKT is trading well below fair value. The stock's 5-year average yield is only 3.51%. Furthermore, the current P/AFFO is 11.5, which is well below the normal P/AFFO of 20.3 (over 8 years). Founded in 1981 and based in Milwaukee, Wisconsin, WEC Energy Group (WEC) is one of the nation’s premier energy companies, serving more than 4.4 million customers in Wisconsin, Illinois, Michigan, and Minnesota. WEC’s principal utilities are We Energies, Wisconsin Public Service, Peoples Gas, North Shore Gas, Michigan Gas Utilities, Minnesota Energy Resources, and We Power. WEC yields 3.17% and the dividend is deemed Very Safe (score: 86) by Simply Safe Dividends. My investment adds $111 to DivGro's PADI and the position is very small at only 0.5% of portfolio weight and 0.5% of portfolio yield. WEC payout ratio is 64% of earnings, which is reasonably safe and leaves room for future dividend payments and increases. WEC's 5-year DGR is 11.6%, while earnings is growing at a more modest rate of 6.9% (over 8 years). The stock is trading a little above fair value. The current yield of 3.17% is below the 5-year average yield of 3.39%. Furthermore, WEC's current P/E (ratio of price to earnings) of 21.2 is above the normal P/E of 17.8 (as calculated by F.A.S.T. Graphs over an 8-year period). Boeing (BA) is an aerospace firm based in Chicago, Illinois. The company, together with its subsidiaries, designs, manufactures, markets, and maintains commercial jetliners, military aircraft, satellites, missile defense systems, and human space flight systems, and launch systems and services worldwide. BA was founded in 1916. I opened a very small position in BA equivalent to 0.50% of portfolio weight and 0.31% of portfolio yield. The position adds $68 to DivGro's PADI. BA's dividend safety score is 98, which is Very Safe. Over the past year, BA has paid out only 48% of its earnings as dividends. BA's 5-year DGR is a spectacular 26%! This is probably not sustainable in the long run, but earnings are growing at 18.1% (over 8 years) and I'm hoping to share in this growth in the foreseeable future! BA's yield is 1.95%, somewhat below the stock's 5-year average of 2.42%. This means that BA is trading above fair value... and, hence, my smaller than normal investment. Founded in 1980 and based in Thousand Oaks, California, Amgen (AMGN) is a biotechnology company that discovers, develops, manufactures, and delivers human therapeutics worldwide. AMGN offers products for the treatment of serious illnesses in the areas of oncology/hematology, cardiovascular disease, inflammation, bone health, nephrology, and neuroscience. AMGN's dividend yield of 2.79% is well above its 5-year average dividend yield of 2.47%, indicating that the stock is trading well below fair value. My investment is quite small at only 0.41% of portfolio value and only 0.36% of portfolio yield. The position adds $79 to DivGro's PADI. AMGN's dividend safety score is 88, which is deemed Very Safe by Simply Safe Dividends. Over the past year, the company has paid out 37% of its earnings as dividends. This is a low payout ratio and leaves plenty of room for future dividend payments and increases. AMGN matches BA's 5-year DGR of 26%! Again, such growth rates are not sustainable, but I hope to benefit from such growth while it lasts. According to F.A.S.T. Graphs, AMGN's earnings growth rate is 11.4% (over 8 years). In October, I closed my positions in Blackstone Mortgage Trust (BXMT) and Hannon Armstrong Sustainable Infrastructure Capital (HASI). Simply Safe Dividends rate the dividends of these stocks as Very Unsafe. Closing my BXMT position removed $744 from DivGro's PADI. My investment in BXMT earned about $1,500 in capital gains and dividend income, for an annualized return of about 15%. HASI's returns were slightly better at about 22% annualized. Closing the position removed about $330 from DivGro's PADI. My monthly DivGro Pulse articles are strategy-focused. I monitor the health of my portfolio and update fair value estimates. I also monitor the performance of individual stocks and look for candidates that are suitable for investment or divestment. Since the third quarter of 2018, I've been focusing on strengthening my portfolio's risk profile. I've added high-quality dividend growth stocks and REITs and closed riskier positions. This month, I replaced two stocks with Very Unsafe dividends, with nine stocks whose dividends are deemed Safe or Very Safe by Simply Safe Dividends. Doing so improved my portfolio's risk profile and diversification. DivGro now consists of 80 positions, including 68 dividend growth stocks, 5 dividend-paying stocks, 5 non-dividend-paying stocks, 1 closed-end-fund, and 1 exchange-traded fund. Feel free to comment on this article and I'll do my best to respond as soon as possible. No problem -- it's a great stock!